ARTICLES/ESSAYS dealing with aspects of the interaction between academy-industry-government (Triple Helix) for fostering research, innovation, economic competitiveness and growth. Contributions should be in MSWord, 2500-3000 words, and include a photograph of the author. BOOK REVIEWS from publishers and writers/reviewers on new publications relating to Triple Helix themes. Reviews should be original and interesting, should be written clearly and concisely, and 1000-1500 words in MSWord. NEWS ITEMS related to conferences or events, call for papers, projects, job posting, and any other activity relevant to Triple Helix interactions you/your organization is organizing/have organized. Articles should be in MSWord, no longer than 1000 words, and include web links to any related activity. 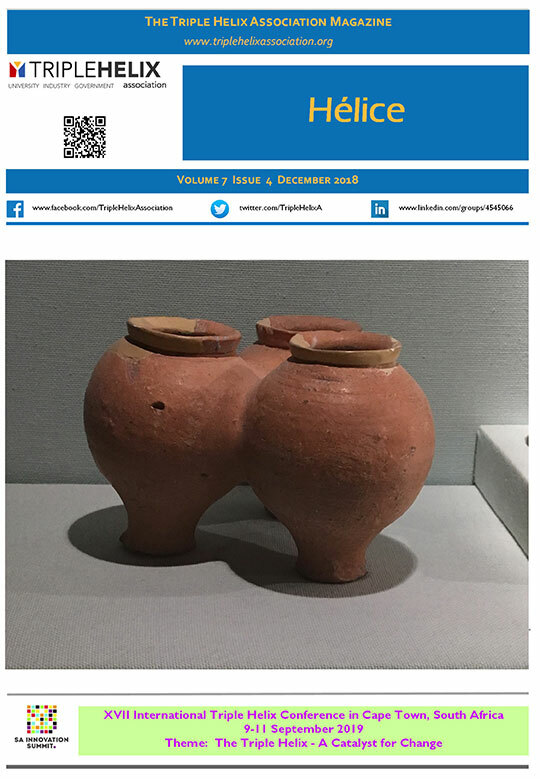 28 May 2019 for June 2019 issue. President’s Corner – Has ‘Creative Destruction’ Been Outlawed?